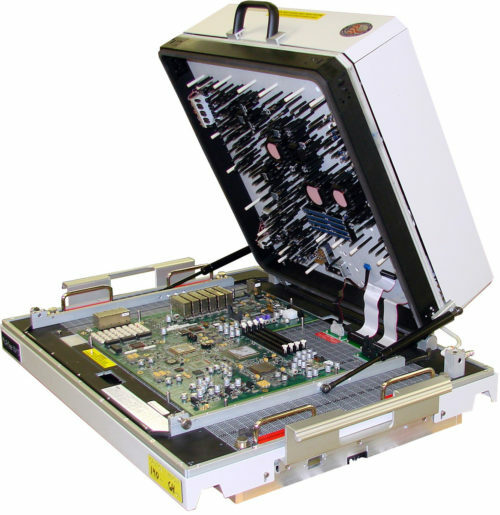 The Performance Grade Pinnacle vacuum box developed with over a half inch of verticle travel allows more accurate placement of circuit board support structures thus keeping the circuit board as planar as possible. The design allows for top side probing and bi-level testing. 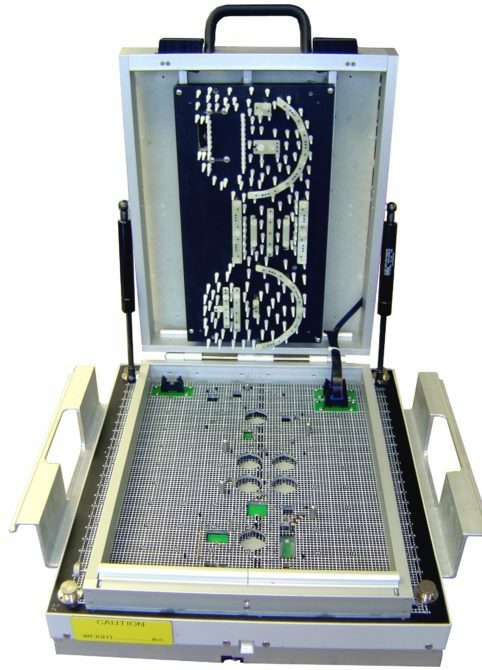 The aluminum vacuum box tests circuit boards up to 12″ x 24″ with off the shelf parts. 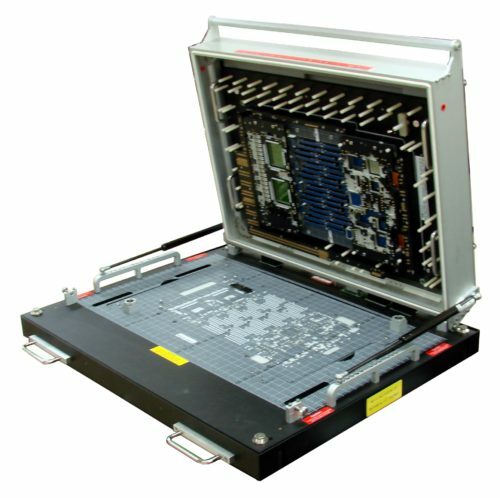 Circuit Check’s Standard vacuum box used in both the Performance Grade and Value Line architectures is molded with static dissipative ABS side walls and can be customized in both size and height allowing for custom sized circuit board testing. 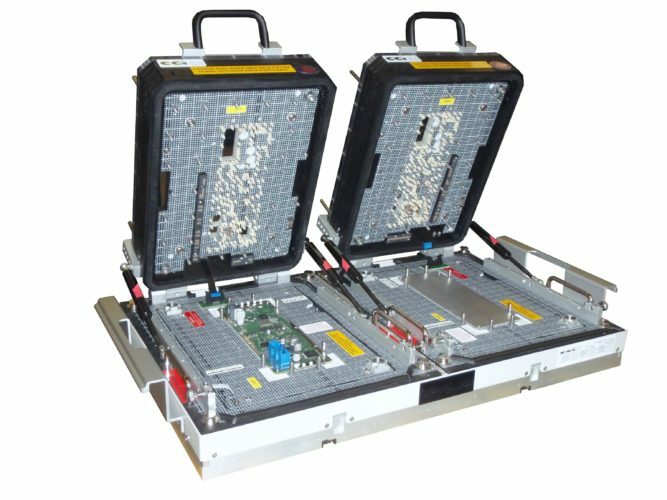 Single and dual sided testing with top sided guided probes is supported. When physical access or power utilization requires cooling, Circuit Check Hold Down Gates are used with lower probe count vacuum actuated fixtures. A heavy duty gate with a full frontal latch is available for the Performance Grade while a lighter weight cam latch is available for Value Line fixtures.